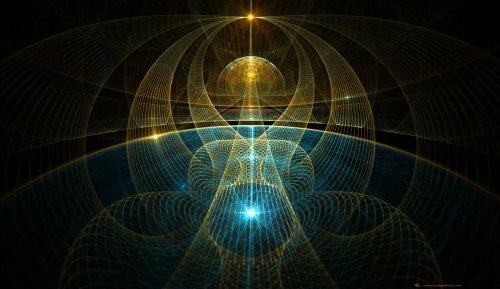 "The mind of God is music resonating through a 10-dimensional hyperspace"
This link leads you to a very interesting and graphic site about space. All written in German, but since there are plenty of images also interesting for folks that don't speak the language. 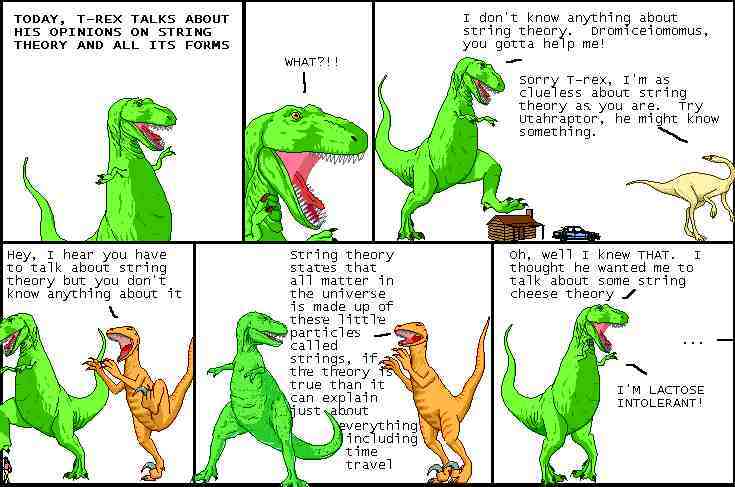 Today I saw a documentary about "string theory" on the ARTE channel, and I was immediately attracted to it. What came to mind was a discussion I recall I had in the train with one of my physics' teachers about 20-some years ago. 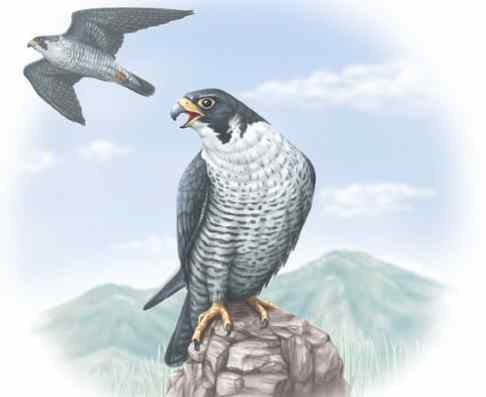 During the discussion we concluded that we could only perceive frequencies that were within reach of our sensors. Just imagine how many other un-perceived things could be around us. Our friend the moon, he's always around, not always to be seen in full. Although on average it takes only 27.322 days (sidereal month) for the Moon to complete one orbit around Earth, it requires about two more days than that to again catch up with the Sun. On average, the number of days between Full Moons is about 29.5306 days. The actual number of days may differ from the average number by more than a half day. From one Full Moon to the next, the number of days in one lunation can vary between 29.272 and 29.833 days. The age and apparent size of the Full Moon vary in a cycle of just under 14 synodic months, which is called the Full moon cycle. N is the count of full moons starting with zero as the first (not 1 as you would have expected) as the first Moon in the year 2000. 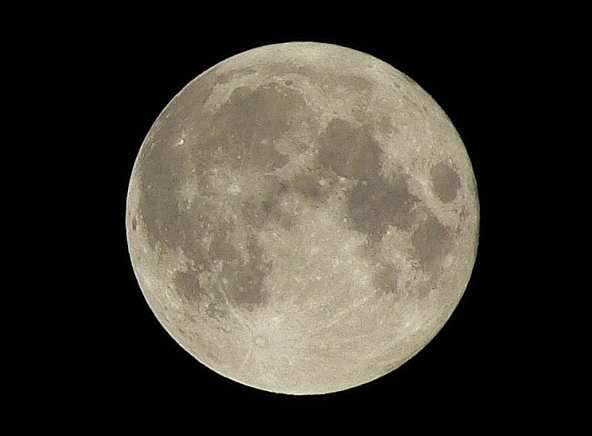 The true Full Moon may differ from this by up to about 14.5 hours, due to the normal irregularity in the Moon's Keplerian orbit, and due to the periodic perturbations on that Keplerian orbit by the Sun, the equatorial bulge of Earth, and nearby planets. Cassini caught hard evidence of Enceladus’ plume since last year, though scientists were unsure of what powers the jets of particles blowing into space. 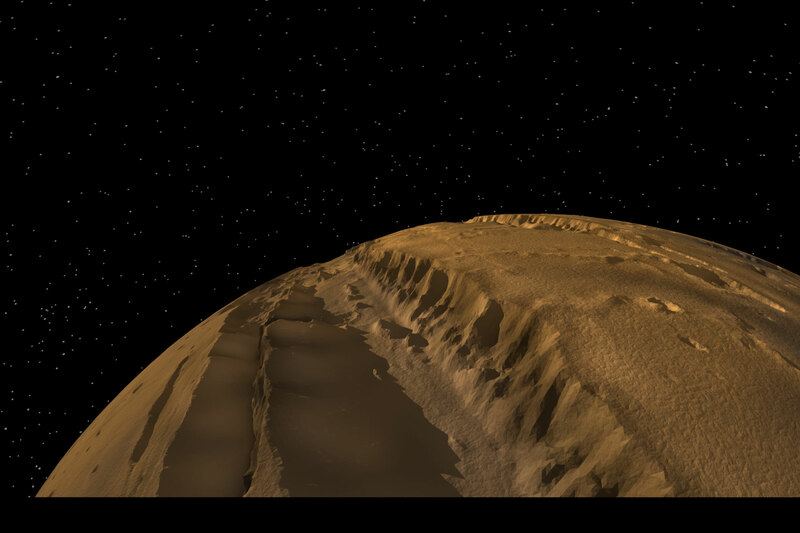 The moon is only the third other body in the Solar System – Earth, Jupiter’s moon Io and possibly Neptune’s moon Triton are the others – known to have active volcanic processes, researchers said. Porco’s team found evidence that the jets may erupt from buried pockets of water at temperatures above 32 degrees Fahrenheit (0 degrees Celsius) like a frigid geyser. The close proximity of water, rock and the south pole’s thermal hot spot puts Enceladus on the list of possible harbors for biological activity, some researchers said. 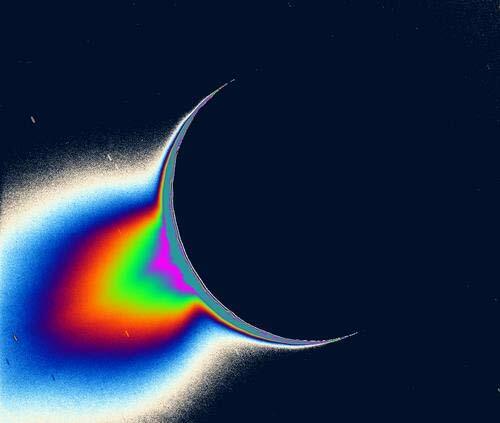 Cassini’s instruments could help pin down Enceladus’ liquid water sources in future passes, researchers added. “If a wet domain exists at the bottom of Enceladus’ icy crust, Cassini may help to confirm it,” writes Jeffrey Kargel, a research scientist with the University of Arizona’s Department of Hydrology and Water Resources, in a related article in Science. 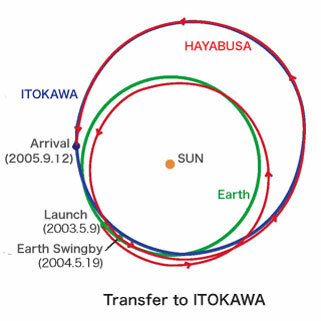 The explorer HAYABUSA, launched by M-V-5 rocket on May, 9, 2003, is flying toward the asteroid Itokawa (1998SF36). 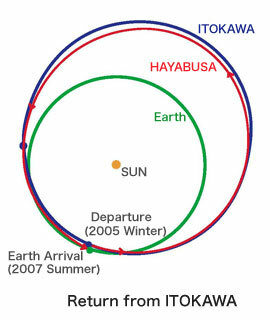 HAYABUSA will arrive at the asteroid summer of 2005. While staying nearby it for about 3 months, it will make scientific observation and collect samples from the asteroid’s surface. 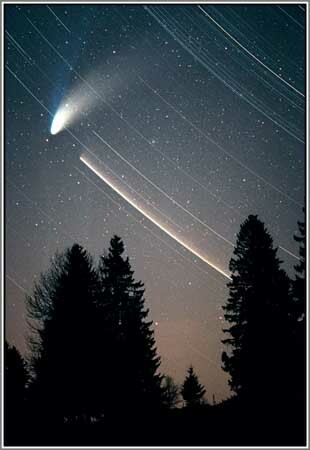 After that, it will leave the asteroid and return to the earth summer of 2007. It will take about 4 years to return to the earth from its departure. 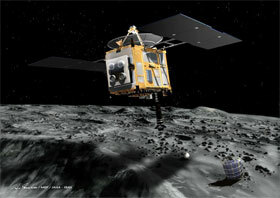 HAYABUSA uses continuously its high performance electric propulsion engines for a round trip to the asteroid. Returning to the earth, the reentry capsule released from the explorer will enter the earth's atmosphere. More detailed information about the touch and sample the Hayabusa did can be found on this page. 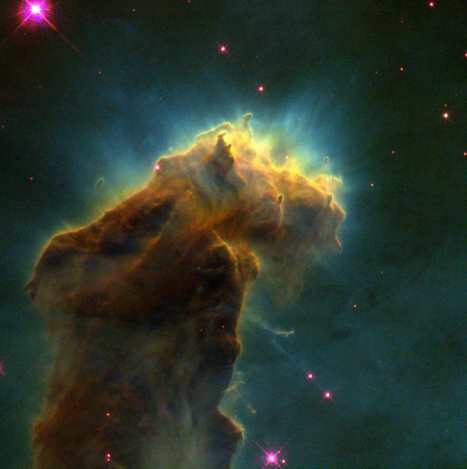 Move into page 1: Birth of a mega star cluster, "only" 12 billion light-years away. Just imagine!! Move into page 2: No Spring Picnic on Neptune, which really is a little different from ours here on earth. 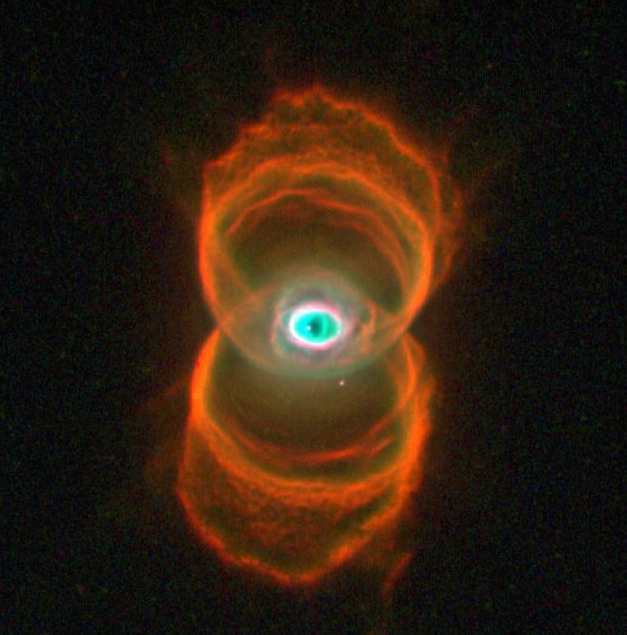 This page I ´borrowed´ from http://amazing-space.stsci.edu/news/, as time goes by some links displayed might not be in use any more.